In many relationships there is an accounting – what you do for me vs what I do for you. Whenever there is a surplus on one side, there is often a deficit on the other. The play of relationship will then be to get these sides into equilibrium. Along the way, there may be unhappiness, arguments, stone-walling, or even worse, a state of complete indifference. How did we get to this? In every relationship there is also a Trust Account. At the beginning of most passionate relationships the Trust Account will be full. But over time – sometimes a short time and sometimes a very long time – this account will become eroded and the sign of this erosion will hit you one day as either complete lack of passion with your partner, or worse, hostility. This is where one or both partners tell themselves they are only there for the children, and if there are no children then it is doubtful whether this relationship will last, and if it does it will be a pale existence; a pallid friendship. It will certainly not be the passionate and fulfilling adventure which was its promise at the beginning. The Trust Account has become so depleted that there is little hope of saving the relationship, much less building it back up to its former glory. And this can be the moment when the man becomes aware that the relationship is in real trouble and also the moment when he will try to recover and repair it, but by now it is too late. Believe me, this happens to the best people. And it may seem unfair, that a relationship that has lasted years or even decades could be over in what appears from the outside to happen in a heart-beat. And yet I see it happening all the time. And there is something that can be done about it before it gets to that stage. When a man signs on to a relationship – what he believes will be long term – there are certain rules that he will be unaware of, but if he makes himself aware of them, he will stand a much greater chance of staying in the adventure for the long haul! This may not come as a surprise to most, but women generally communicate in very tangential ways – they rarely come straight to the point, but will deliver many non-verbal hints as to what they expect or prefer in their partner. However, men will mainly thrive when the communications are straight-forward and unambiguous. Here we have a recipe for disaster! Underlying the importance of the Trust Account is the woman’s nature to test her man. When she seems to be most unreasonable and is upset, yelling, pointing out his faults, storming off to another room, this is all a test – a test to see if the man can weather her storms, and underneath all of this seemingly radical behaviour is a cry for love and a question – “Can I trust you?” By pushing him away, and sometimes being quite nasty along with it, the woman is crying out to the man to stand up to her and not be put off. The thing is, most women are unaware they are doing this – her emotions are as real, as varied, as exalted and as devastating to her as they appear to be to him. This emotional response is instinctual and has a very real purpose. If she cannot trust her man to protect her and not to run away at the first sign of trouble, then she will have to become masculine to protect herself and her children. If on the other hand she can relax into her true nature, she will create an Eden for him that is a haven and a blessing. If a woman is displaying overly masculine energy when it is not her natural state, this is a sign for the man to examine where he may have lost her trust and depleted the account! Depending on how long the trust account has been dipped into, replenishing the account will take days or weeks or sometimes months of determined and disciplined attention. And just when he thinks he has it all sorted – three months of peace and bliss and then whammo! up it comes again. What the hell? Something I neglected to mention – he may pass the test, but it is a test he has to take again and again. But knowing now the answers to the test, makes it a no-brainer yes? And maybe he can then graduate to a deeper, more spiritual connection with her where he truly wants what is best for her, knowing that this understanding and connection and deep love are what he was craving all along. And receiving the same from her because he never demanded it. 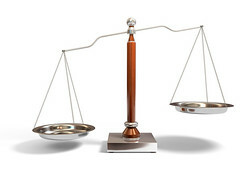 The trust account is then not only in balance but it is overflowing on both sides.